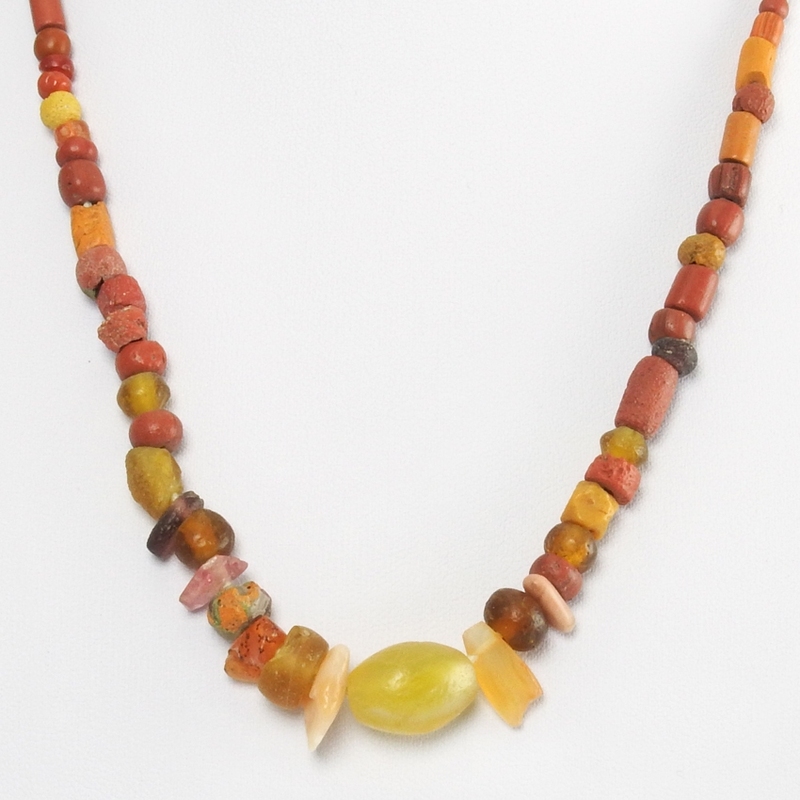 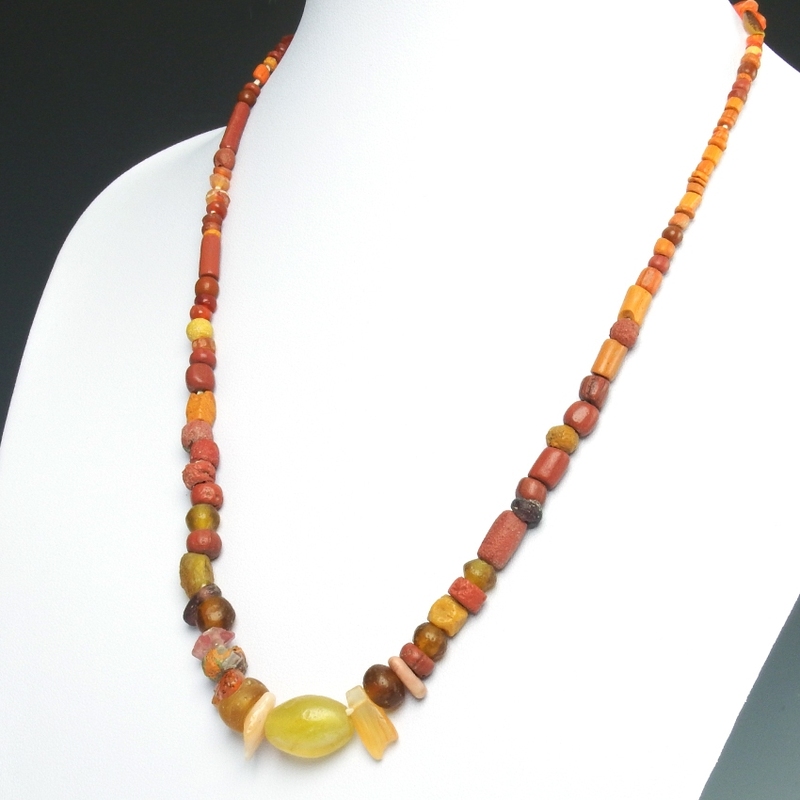 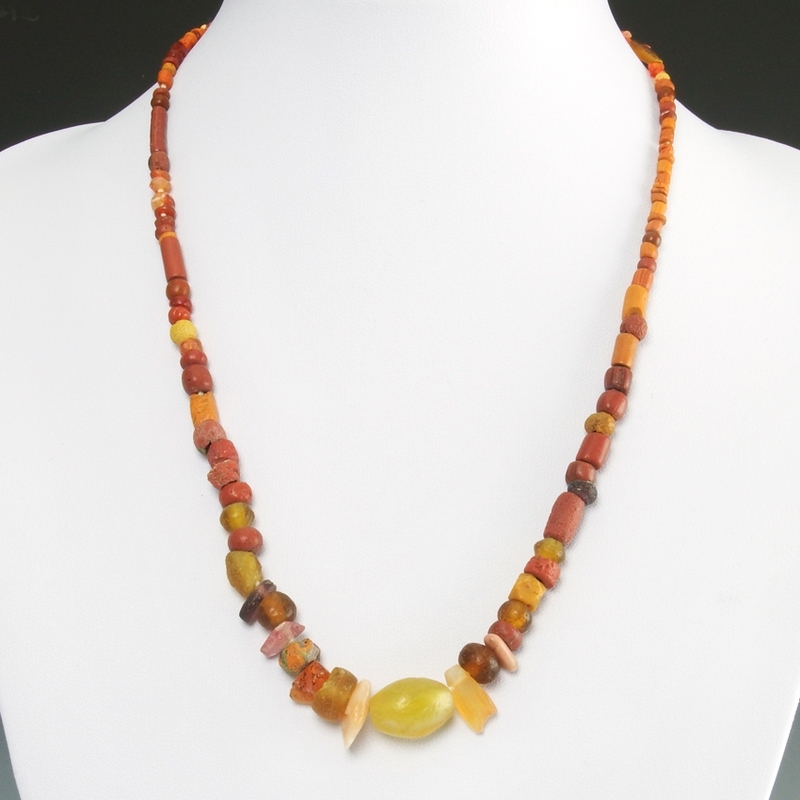 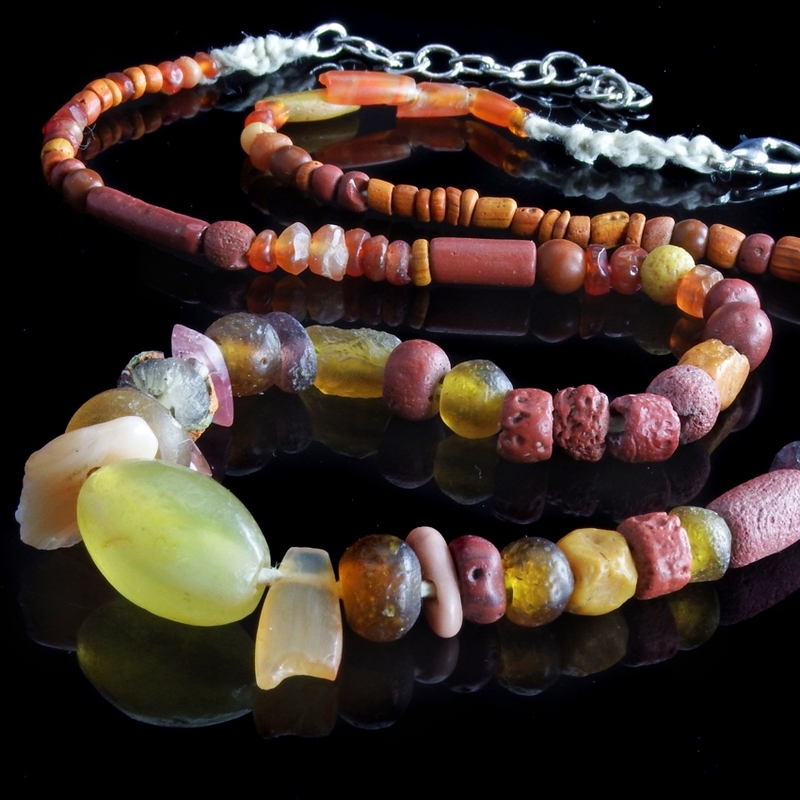 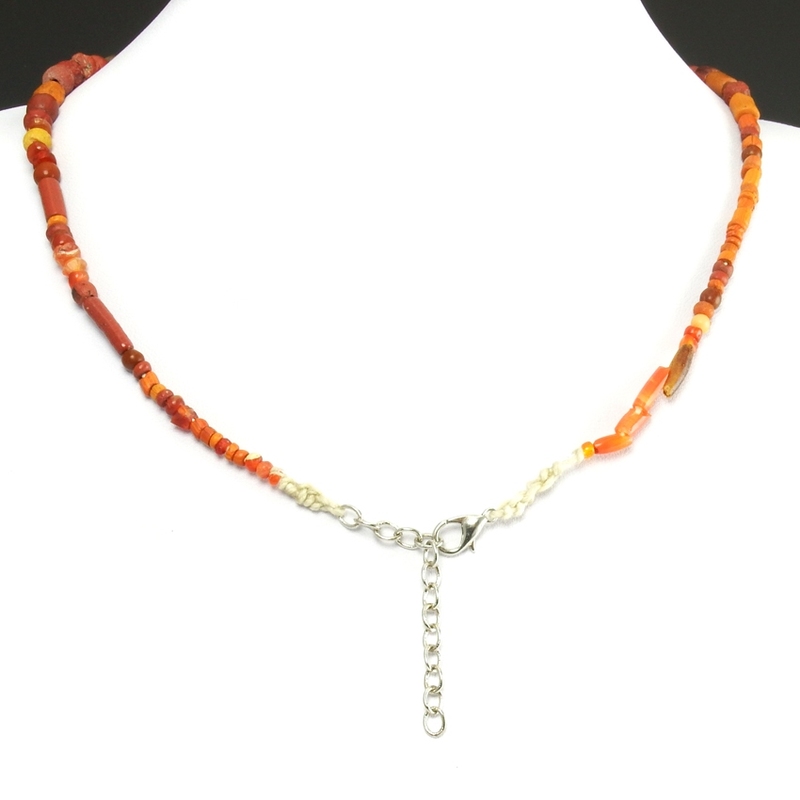 Necklace with beads from the New Kingdom through Roman period, made of glass and stone in various shapes and colors, including some carnelian beads. 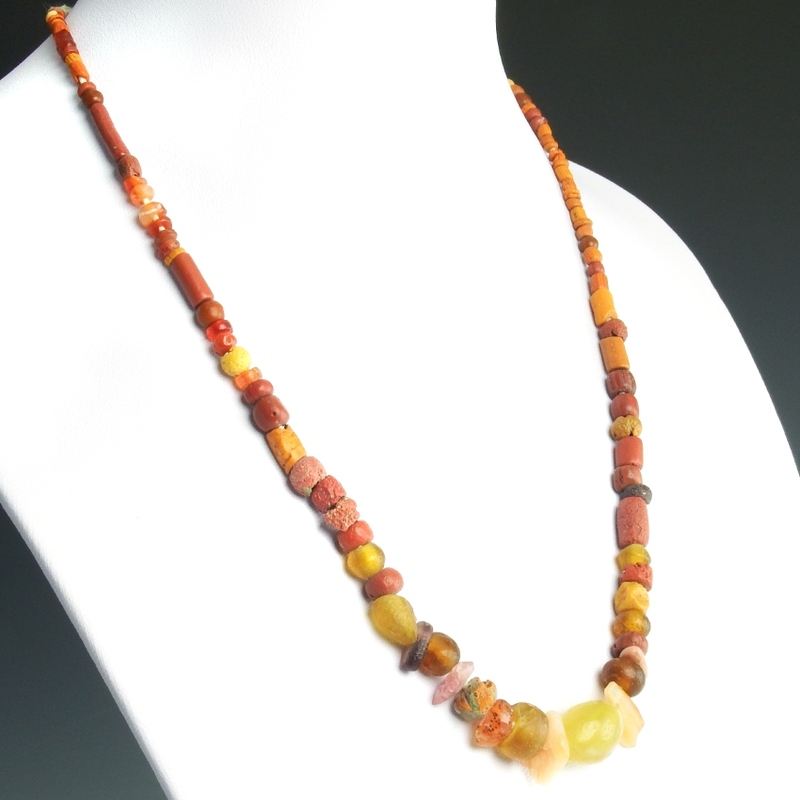 Restrung with authentic Egyptian and Roman beads and wearable (clasp). 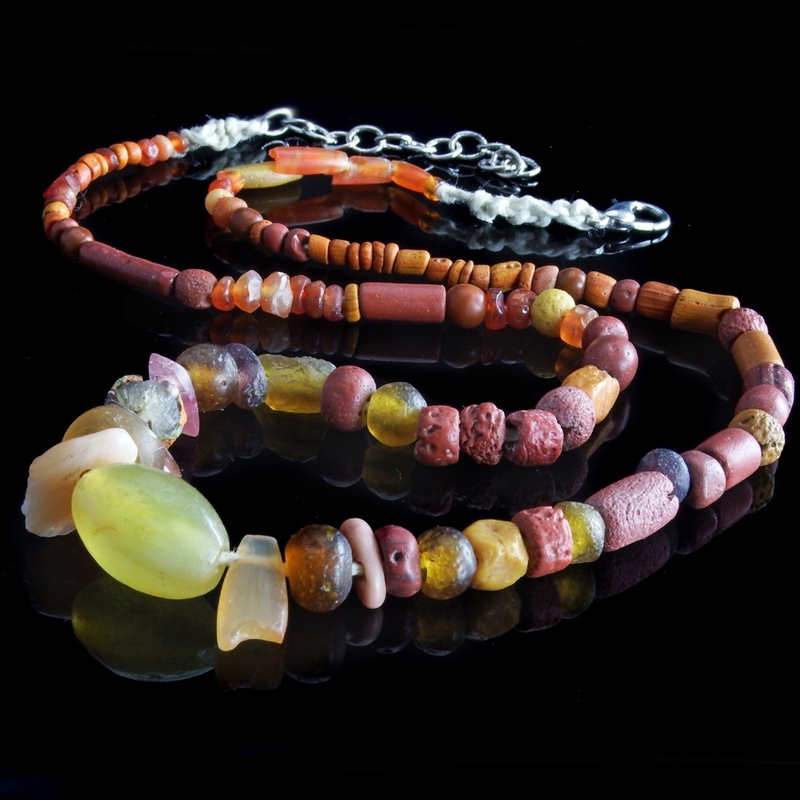 Browse our large selection of bracelets, earrings, necklaces and pendants for other matching pieces or to discover other classic or contemporary designs.